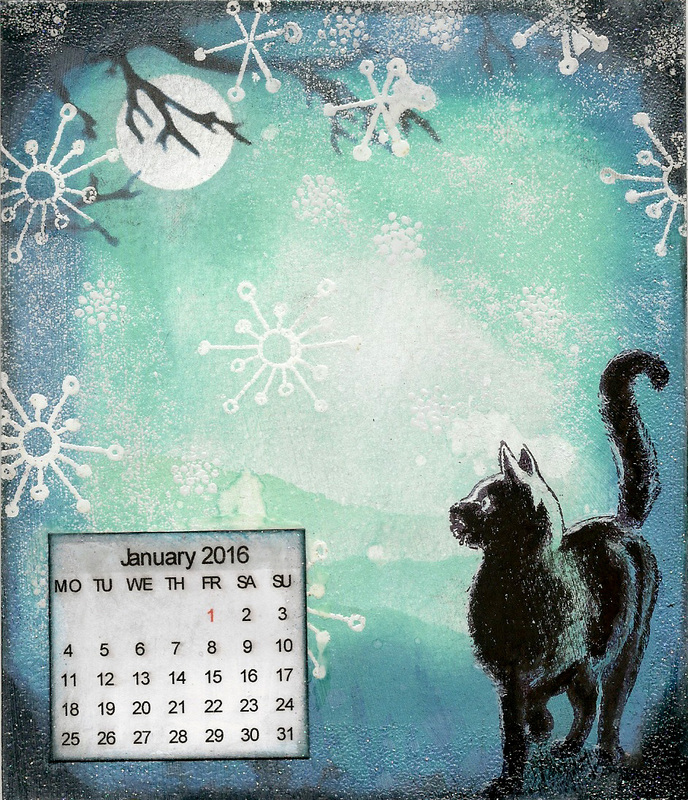 With Christmas over finally there's a chance to play and get inky! 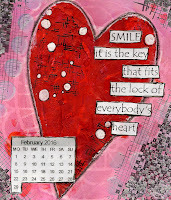 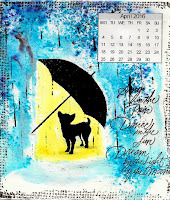 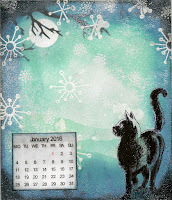 I've been having fun with Dylusions inks and stamps and Giovanna Zara's Tando stencil. 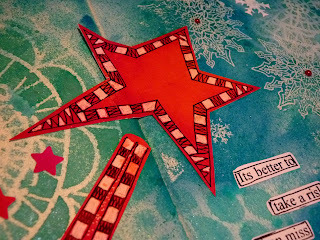 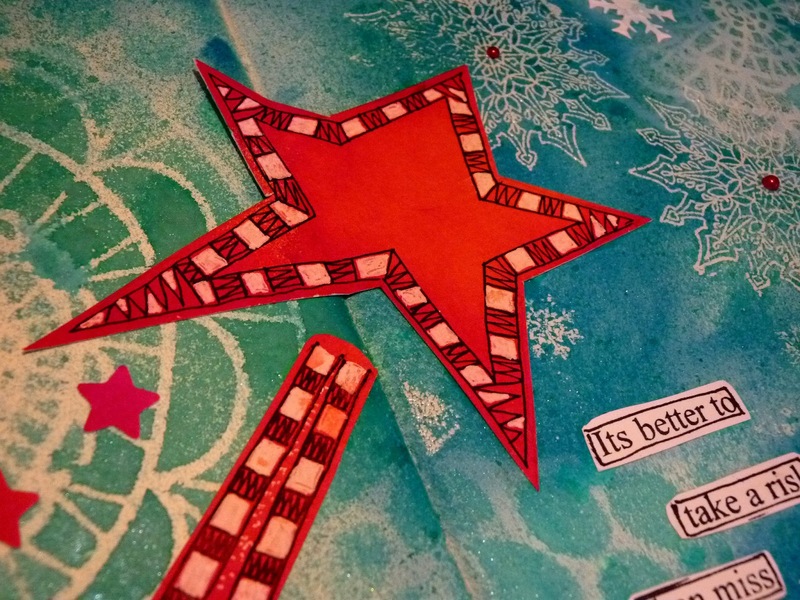 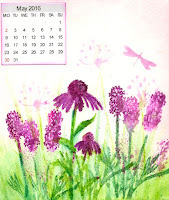 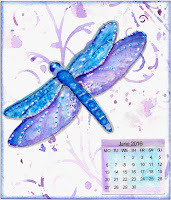 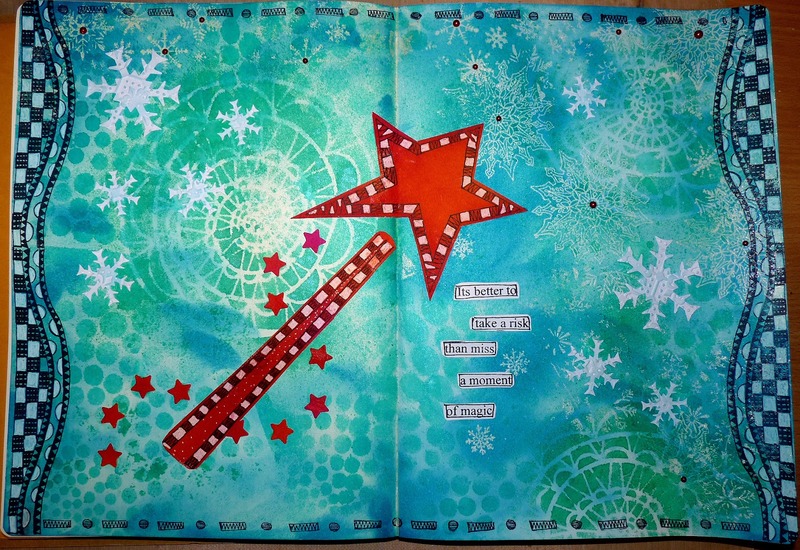 I'll be sharing this on the Dylusions Facebook Challenge for December. 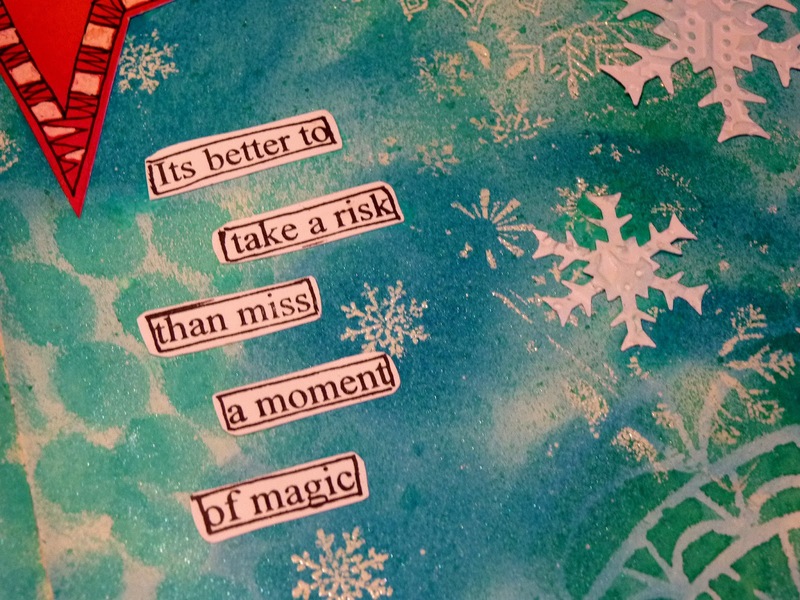 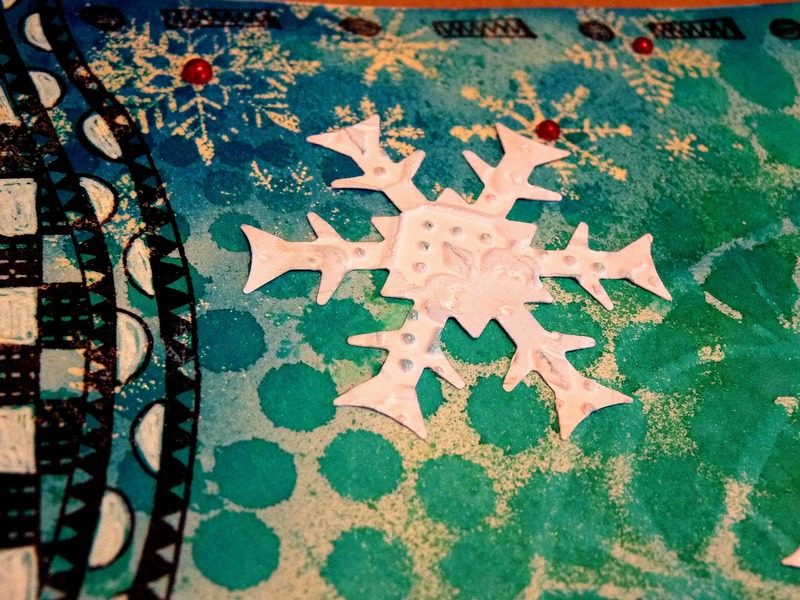 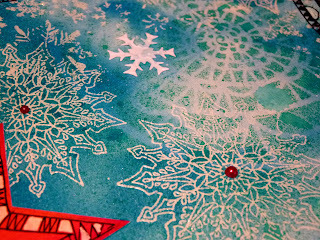 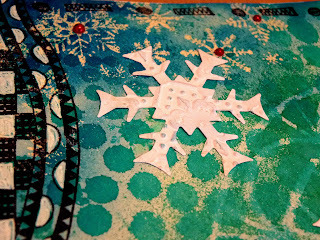 Some of my Christmas cards this year were inspired by Kay Carley and how she uses Brusho. 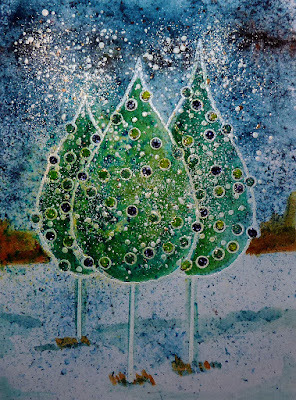 The joy and frustration of using Brusho is that no two came out exactly identical! 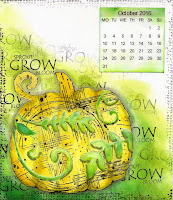 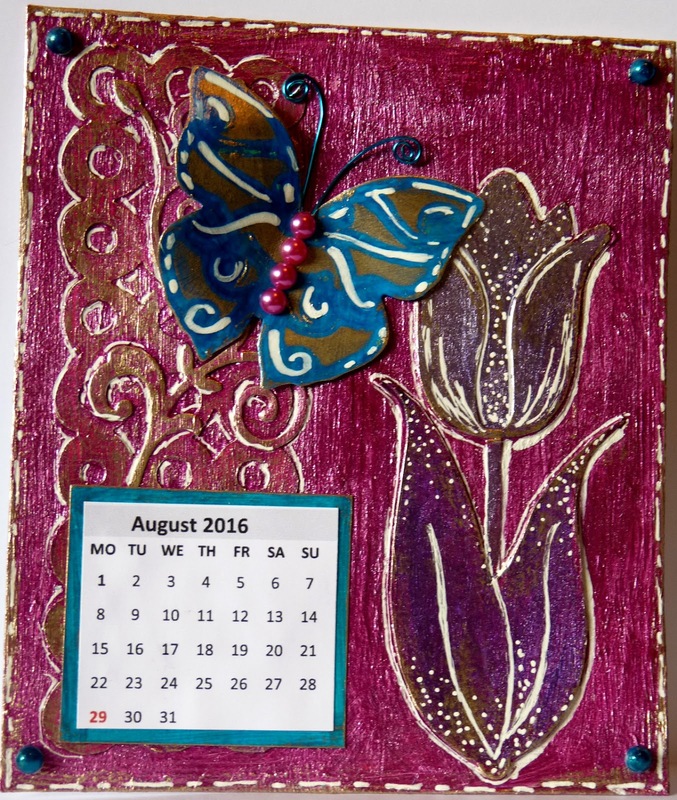 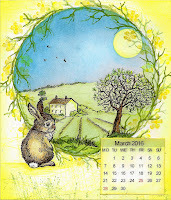 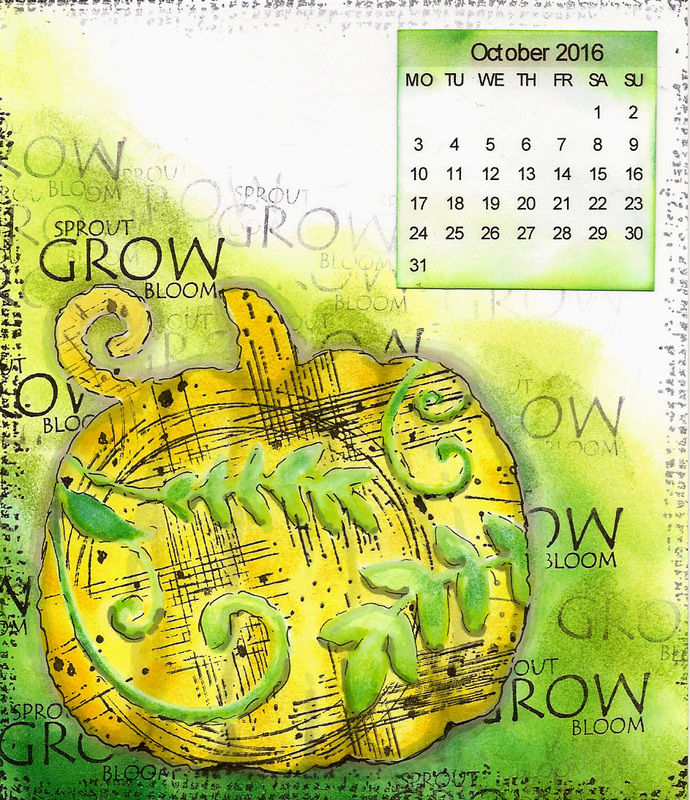 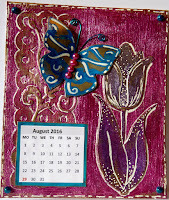 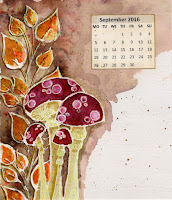 The last theme for The Craft Barn calendar challenge is silver/gold and trees. 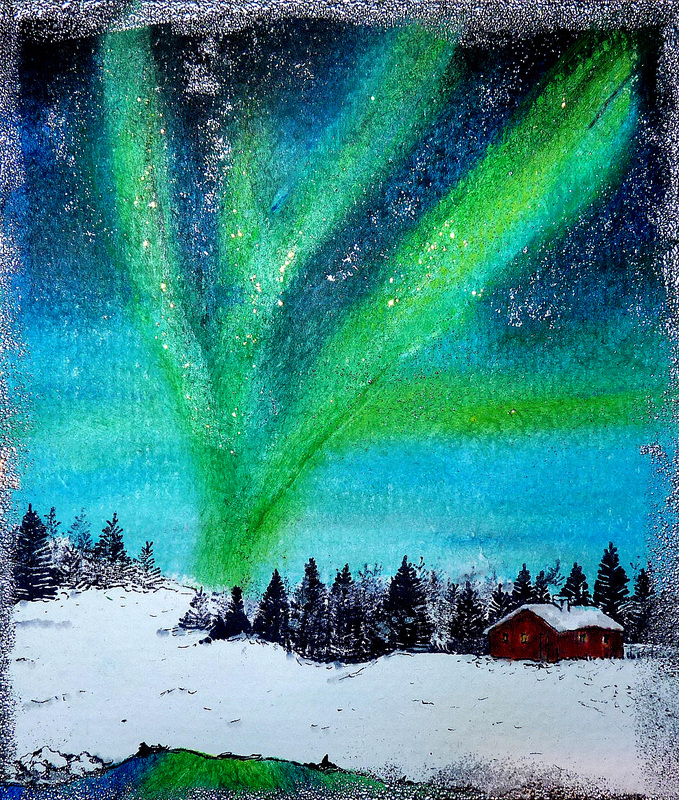 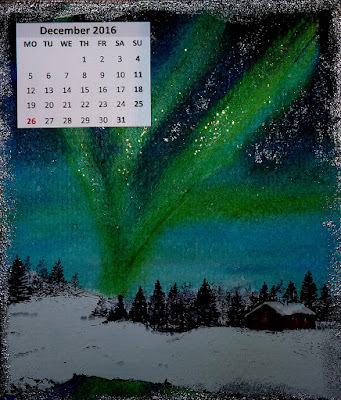 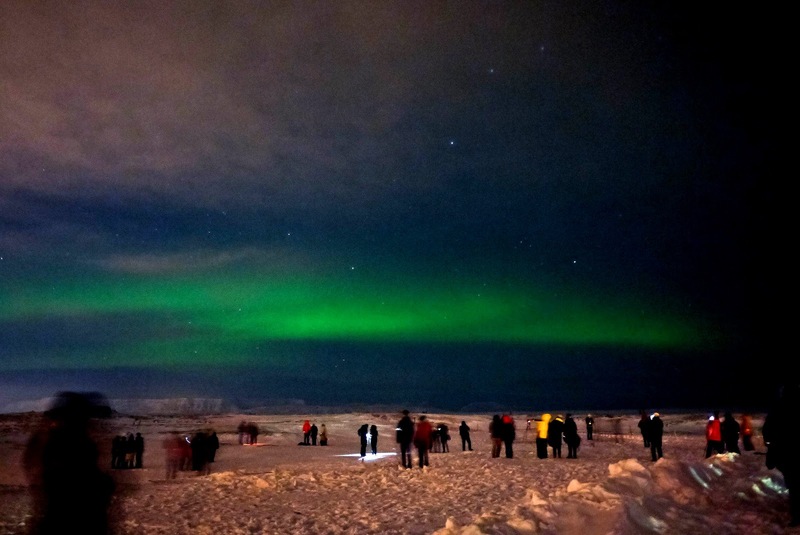 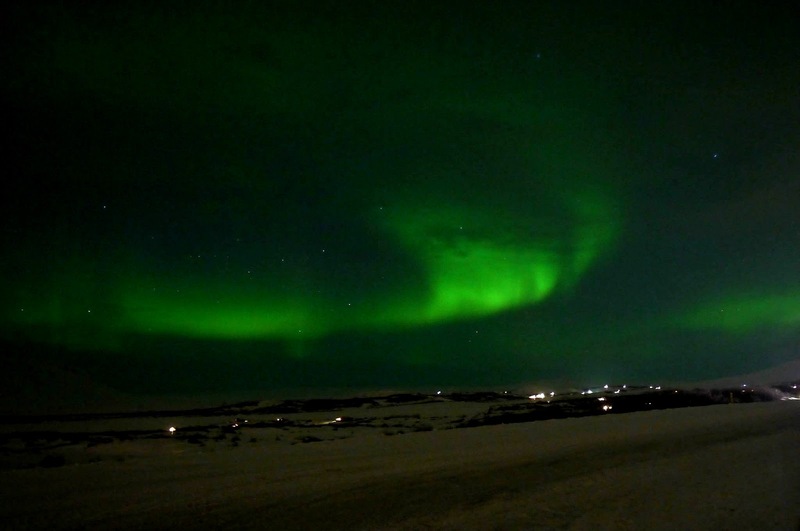 Last year I was lucky enough to see the northern lights in Iceland and so my entry is inspired by that visit. Our sightings weren't quite as dramatic as the scene I've created! 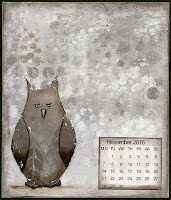 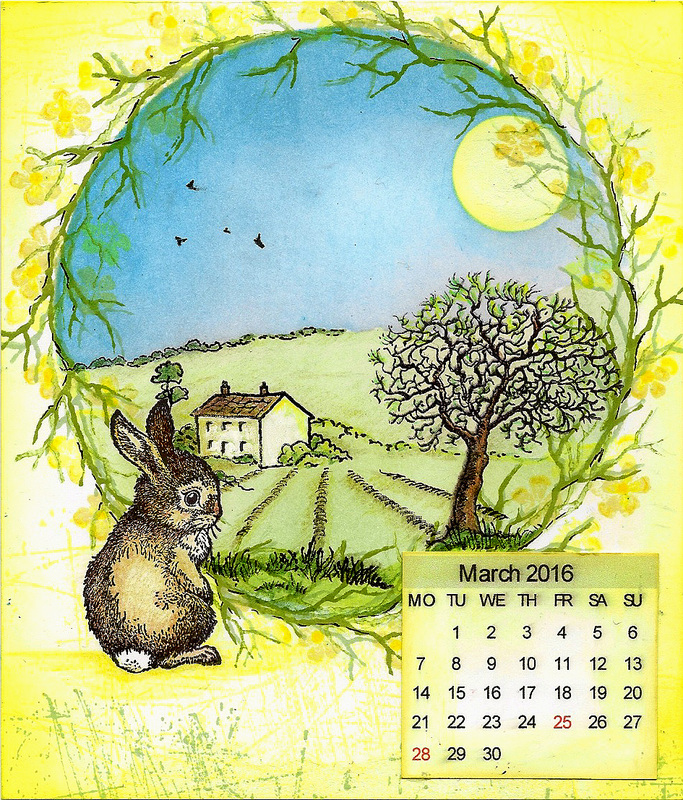 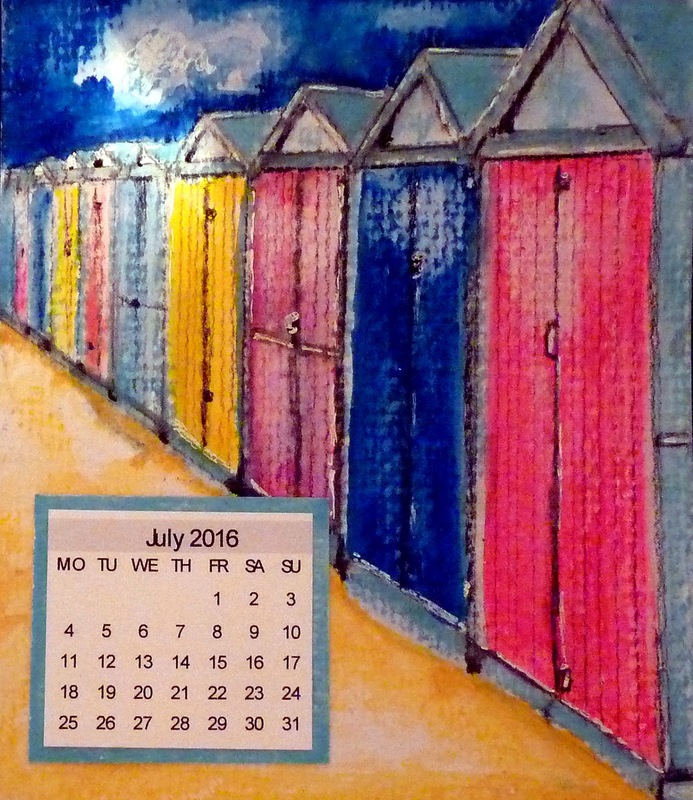 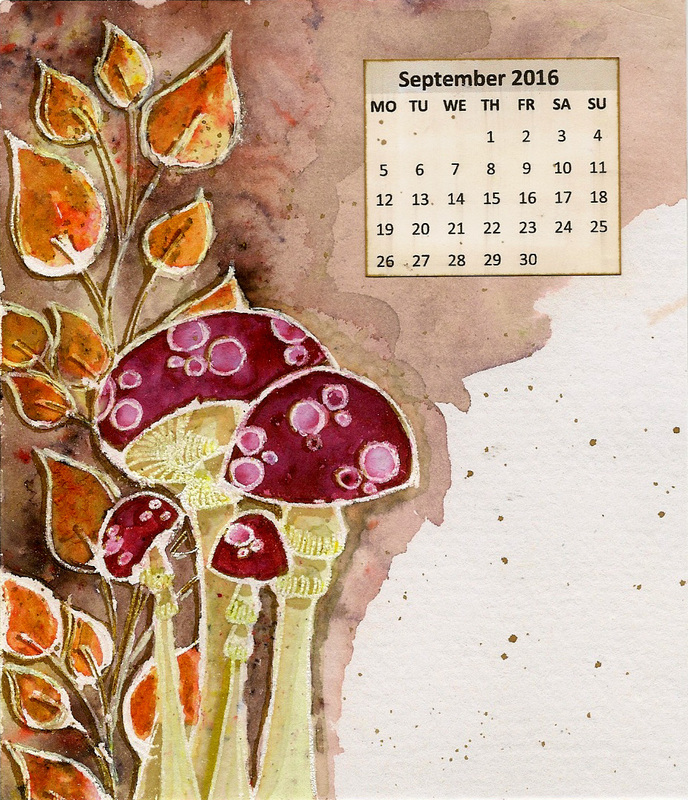 I've had a great year taking part in the calendar challenge and now I will get to enjoy all of the projects again throughout 2016. I'm looking forward to next year's projects...I have my dictionary ready and await instructions!